or is it over here? Each night (and some days during work…but that’s O.K. 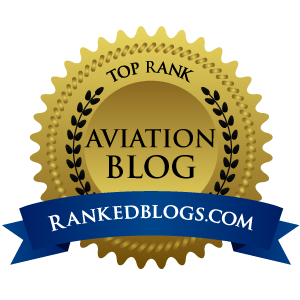 since I work for myself), I zoom through the RSS headlines from a number of aviation news sources, scouring the Internets for news you can use. Beer Living Lab is a pilot project that will track 20 beer containers shipped from the Netherlands to Heineken's UK distribution centre. Each container will be outfitted with GSM, GPRS and global positioning systems. The data will be transmitted to a computer center hosted by IBM; the WebSphere platform will be used to run the service software. This is not just a bunch of guys in wooden shoes thinking up wild ideas after field testing the brewski. No, this is serious research. 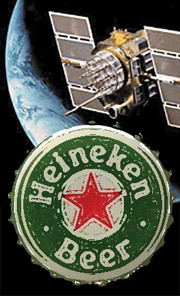 Heineken’s shipping division generates a reported five billion documents every year as its products pass through international shipping channels. Satellite tracking would help speed up deliveries and cut costs once Heinie convinces manufacturers, shippers, retailers and customs to move to a paperless environment. This is really fine example of how aviation and aerospace research and development is more than just moving bodies through thin air at warp speeds. We pilots – and now beer drinkers of the world – can be thankful for the continued push to find better and more useful things to do with all those GPS birds bouncing around in space. 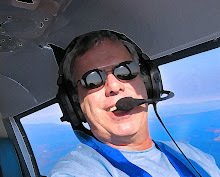 Some say GPS is the second most important aviation invention after the Wright Flyer, and to that I must agree. With avionics technology moving forward with the speed of a 1,000 Citations, the cockpit of tomorrow will merge the digital age with stick and rudder flying to create a world where steam gauges will one day only exist in museums. Pilots born today will learn in glass cockpits that rival those found in the front office of 2006-era airliners. As goes LORAN and ADF, so will go the trusted VOR, maybe sooner than later. Regardless of the advancements in avionics and navigation, flight students must still learn to read a chart. They will still unfold them, and in 2020, when cars fly and even your toaster has GPS, those same flight students will still not be able to fold the damn charts back into the same shape as when they arrived.